The beginning of the college took place with the starting of local language school by father Dr. Bonjune on 1874. Afterward Rev. Henry Julian arch bishop of Jaffna has registered this as a government English school in 1898. It was named as St.Joseph’s college. The reason for this was, the church in Anuradhapura allocated for the St. Joseph’s. It was not the only reason. But all the other people, not only Christians, but also Hindu & Muslims were also encouraged about school. In this time, North Central province has established by the Government by adjoining Anuradhpura & Polonnaru districts. Then Anuradhapura became the capital of North Central Province. This happened on 1873. But there were no English school in this area. But English was essential for administration. Therefore some people taught English for their children by accompanying teachers from Jaffna. So, St.Joseph’s college has begun at such era. But the school was located in the area with many archeological places. Therefore it moved to today’s’ place. In 1914, the school became a boys school. But before that, it was a mixed school. The girls of St.Joseph’s college separated for Swarnapali baliika vidyalaya. It is a leading national school in the city now. At the beginning the college had only three teachers and fifty students. On 1920 there were 127 students & in 1940 there were 350 students. When our country gained independence there were 400 students. Now today there are 3000 students and 120 staff members. From 1898 to 1936 only J.S.C. classes were held in the school. In 1936, the college had the capability to present students for E.S.L.C. In 1940, it was begun S.S.C. classes in all three languages. It was the only school in North Central Province with that capability. In 1968, the college became a government school. Till then college was control by the Jaffna Arch Bishop. The head of the college ,Rector became principal of the college. At that time Fr. 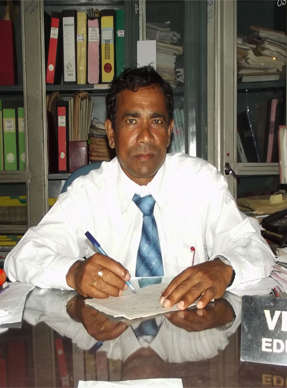 Jayasuriya was the head of the college. At that time Fr. Jayakody wrote present College anthem in Sinhala. At that time the college became a sinhala school. Therefore Tamil students were attached to Vevekanada Vidyalaya & Sahira Vidyalaya. In1972, the college established as Grade 1AB school. 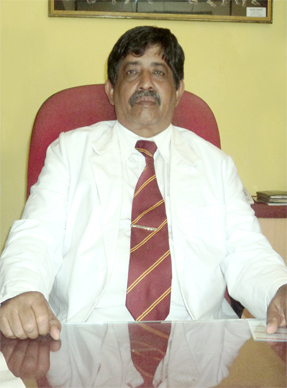 Mr. late R. Stanislaus was the principal who controlled the college for 34 years. It was the longest era of one principal of the college. Our Mission is to have progress inknowledge, skills,competencies and broadening positive attidudes which can be utilized as well as by the student himself and applicable in global sence which produces an outcome of creative and moral personalities to the society in the process of effective learning and teaching. © A/St.Joseph's College - Anuradhapura, Sri Lanka 2013-12 All rights reserved.